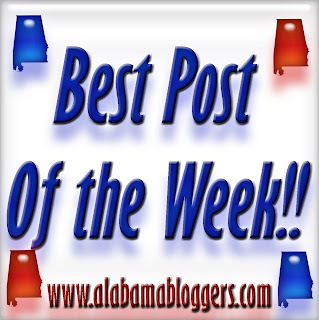 My post this week took me longer to write than any post ever has - 30 hours. I'm exhausted. For a nostalgic walk down memory lane, read my "Mockingbirds" post. The first link is incorrect. Please try the second one. Sorry! 5. Wade on Birmingham - Who won the mayor's race in Birmingham's suburbs? And did Birmingham's $150 million bond referendum pass? 6. Media of Birmingham - An important announcement about the future of the organization. 7. Birmingham Blogging Academy - Tips that take only a couple of minutes to make your blog posts perfect. 8. Project Bulk - The need for attitude in workouts. "#ShowMeYourJugs" is about a fun little dairy/milk promotion on Twitter this week. My post is an older post on heroes, which I define as ordinary people doing extraordinary things. Simple idea on organizing computer cables. for some reason I can only get my name or blog name to post, not the actual link to my latest blogpost. oh well, che sera! enjoying reading these other AL writers since I am new and part-time in Mobile....fun getting to know the state!